CitySTYLE Exclusive – Ladies Who Launch Mixer Preview! If you are a female business owner, woman in business OR thinking of starting your own business, this is a MUST! Great Speakers, meeting new colleagues, cocktails & good conversation! Join us for Pittsburgh’s premiere LADIES WHO LAUNCH! Networking & Empowerment Mixer! Watch our exclusive interview with the lady behind this fabulous event Nikole Li! 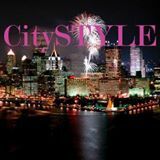 Continue reading CitySTYLE Exclusive – Ladies Who Launch Mixer Preview! CitySTYLE Must Have Summer Looks! Okay, I know spring has just sprung but now is the perfect time to get your summer wardrobe ready! This summer is all about fun, effortless chic, and feminine style. Here are some basics you can add to your closet today! Must Have Looks for Summer: Colorful Sneakers, Denim Rompers, Crop Top and Midi Skirt Set, Graphic Tee-shirts, Cullotes, Jersey Dresses, and Panama Hats Tell … Continue reading CitySTYLE Must Have Summer Looks!